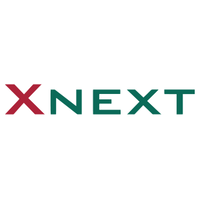 Xnext® is a SME based in Milan whose main objective is to develop and commercialize its innovative X ray inspection system, XSpectra®. The product is based on an advanced X ray detector that is capable to detect in real-time the chemical-physical properties of the materials inspected. This feature gives the possibility to perform more accurate and deeper NDT quality inspections directly on the whole production. Applications span from electrical appliance components production, to food safety and to material recycling. This solution adds a powerful instrument for the industrial quality control sector. The company has a staff mostly composed by Electronics, Mathematics, Physics and Software Engineers from Politecnico di Milano, as the two founders. The team is completed by a sales manager and two administrative members.